Labour's Alan Kelly asking internal auditor Niall Kelly about cheques being made payable to senior members of the gardaí. THE BANK BALANCE of the bar in Templemore Garda College is €417,000, despite the bar rarely opening, the Public Accounts Committee was told yesterday. During yesterday’s proceedings, Niall Kelly, head of internal audit of the gardaí, was asked about the college’s employees, their wages and whether An Garda Síochana are tax compliant. A number of revelations about the finances of the Tipperary college were revealed during the questioning of five top civil servants in the gardaí during the eight-hour sitting of the PAC (see link below). Late into the evening, Fine Gael TD Peter Burke questioned Kelly about the running of the bar at the college. Kelly explained that there is only one person who “occasionally works in the bar”, adding, “it is not as if there is a full-time person in that job”. “The bar doesn’t open that frequently,” said Kelly, who said one person “comes in and does a couple of hours now and again”. He said that employee is assigned to the restaurant in the college and gets paid through the restaurant account. “It has a balance of €417,000 for a bar that doesn’t open that often. That doesn’t make sense,” said Burke. “It doesn’t, I know, you’re right,” replied Kelly. 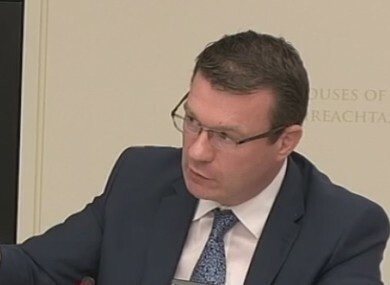 Labour’s Alan Kelly raised the issue of large payments being made to senior members of the gardaí. He asked the internal auditor, Kelly, if he had come across any cheques made out to senior gardaí through his auditing process. “Is that not absolutely bloody hell incredible?” Kelly responded. “Well there can be very innocent explanations for cheques being made out to senior gardaí,” replied the auditor – adding that there can be very legitimate reasons for cheques being made out to gardaí for recompense of expenses. Deputy Kelly said auditor now faces the massive task of going through every cheque stub and ensuring it can be matched to vouched expenses. The auditor said work was being done to ensure that payments made to gardaí were properly vouched for. “That will be done, that is being done,” he said. He added that not every cheque would be looked at, but a representative sample would be taken, as is common practice during large-scale audits. “What is the largest amount?” asked Deputy Kelly. “There could be payments of thousands,” said the auditor, explaining these could be for the likes of plane tickets or bills. Social Democrat TD Catherine Murphy also had an exchange the internal auditor about possible payments being made to members of the gardaí. She asked if anything had been discovered during his investigation into a “number of bank accounts”. “Can I just ask you, very specifically, if there’s any indication of any Templemore monies being sent to a bank account in Dublin under the control of a former senior Garda officer and whether or not you’re carrying out a specific investigation in relation to that or anything of that nature?” she asked. “But there is an audit?” asked Murphy. “There is an audit,” he answered. “Of that nature?” pressed Murphy. “There are some issues that you touched on that could be issues within our audit,” he said. Email “Bar at Templemore Garda College is rarely open, but has a bank balance of €417k”. Feedback on “Bar at Templemore Garda College is rarely open, but has a bank balance of €417k”.